And chances are you’re still deciding how you want to spend the spookiest night of the year. You have two choices; stay in and watch horror movies, or go out to one of the most lavish Halloween bashes of all time – The Beautiful & The Damned. On Saturday, October 28 the ballroom of the city’s most hauntingly beautiful hotel, the Rosewood Hotel Georgia, will be transformed into a world of the vampiric undead. So we’re teaming up with Diabolica Wines to celebrate the launch of their new devilishly delicious wine, Diabolica Reincarnation Red Blend and giving two lucky readers the chance to win four tickets each to the event. 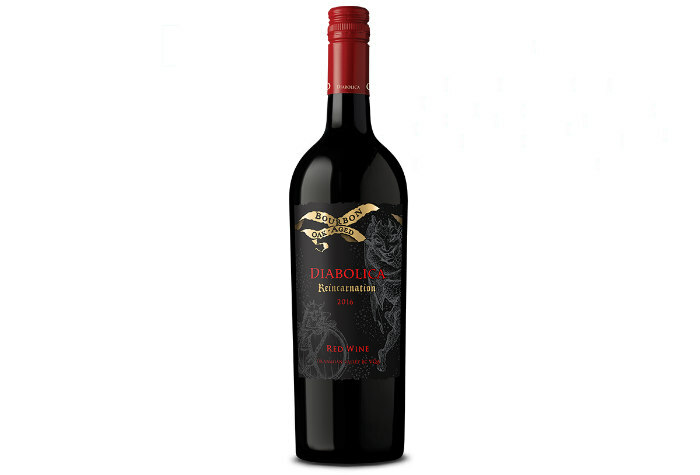 Diabolica Reincarnation Red Blend is a bourbon oak-aged red wine that’s perfect for autumn and raising a glass to Halloween. It has complex flavours with hints of vanilla caramel, spice and smoke, and a smoother, longer finish. Plus, it tastes even better when paired with BBQ ribs, slow cooked brisket, charcuterie, pizza, or hard cheese. Now you can purchase a bottle of the elixir at select BC liquor stores to try it for yourself. 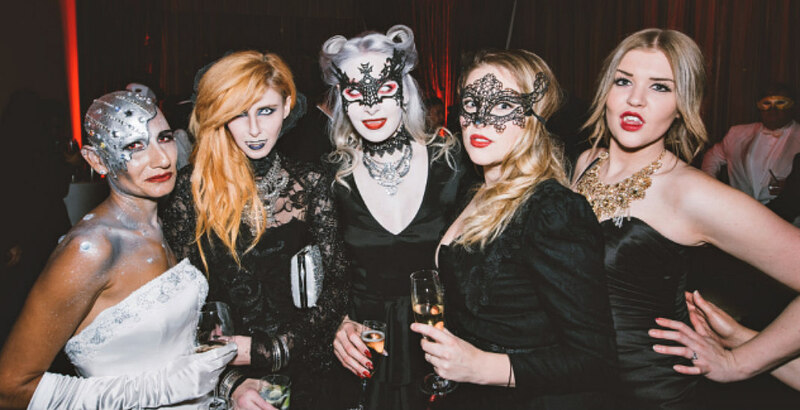 Diabolica is the official wine sponsor of The Beautiful & The Damned, a mysterious, decadent black-tie affair in the heart of the city where more than 500 creatures of the night will be revelling together. The event is 19+ and you’re encouraged to dress in your finest over-the-top gown, tuxedo, and mask, for an unforgettable night. And to make it better, the event is known to sell out every year but you could win tickets for your group of friends simply by entering the contest below. 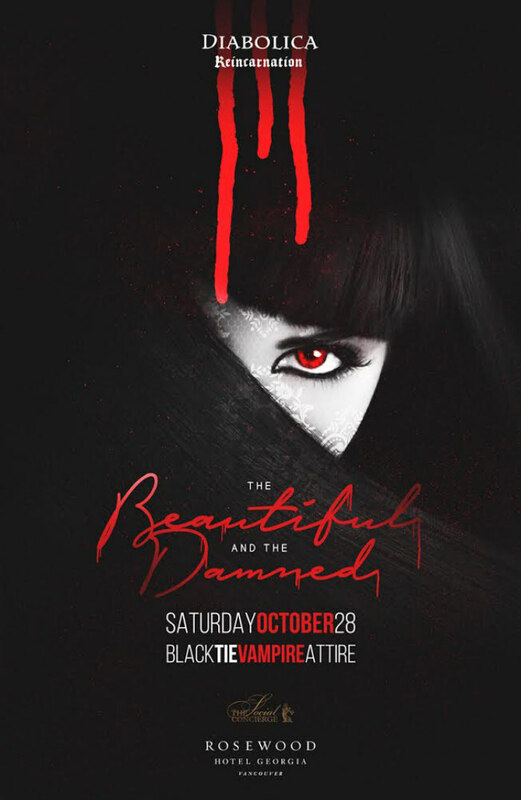 Enter for your chance to win one of two sets of tickets (x4 tickets in each pack) to The Beautiful & The Damned on October 28 at the Rosewood Hotel Georgia. Win 4 tickets to The Beautiful & The Damned @diabolicawines in #Vancouver via @VancityBuzz http://ow.ly/gFpn30g1BeJ to enter! Contest entries will be accepted from the time and date of publishing until 11:59 pm on October 26, 2017. One winner will be chosen at random and contacted through the platform they used to enter.